If Nick Fury recruited you to his team of remarkable people would you be his upstanding Captain America or the swaggering God of Thunder? Do you have the intellect of Iron Man or the steadfastness of War Machine? Do you have the strategic leadership of Black Panther or bash every problem like the Hulk? The world has gone Avengers crazy and we’ve all imagined what it would be like to be part of the team. This is your chance to discover your true super hero alter ego. Each of the Earth’s Mightiest Heroes have traits we can relate to and this quiz uses patented Stark technology to analyze your personality type and assign you a true super hero identity! This is the ULTIMATE Avengers Personality Quiz. Based on custom Myers-Briggs architecture (we’ve tailored the traits to be relevant to the Avengers heroes, but the basic evaluation structure is the same), this isn’t some fluff poll that you can game to get the answer you want…like Adam Warlock, this quiz will look into your very soul. If you like this personality quiz, please share it! We’re hoping there’s a place out there for the in-depth nerdiness it takes to spend this much time making a psychological evaluation for a fictional super hero universe. All images courtesy of Marvel Studios. We all know the villains are way more interesting than Batman! If you were up to no good in Gotham, find out which Batman Villain you would be, from Joker to Catwoman to Mr. Freeze. Based on the personality test used to analyze inmates in Arkham Asylum. The Jedi order may never be the same, but the war against the Dark Side never ends. Find out which Star Wars hero and which Star Wars villain you'd be if you lived in a galaxy far, far away. 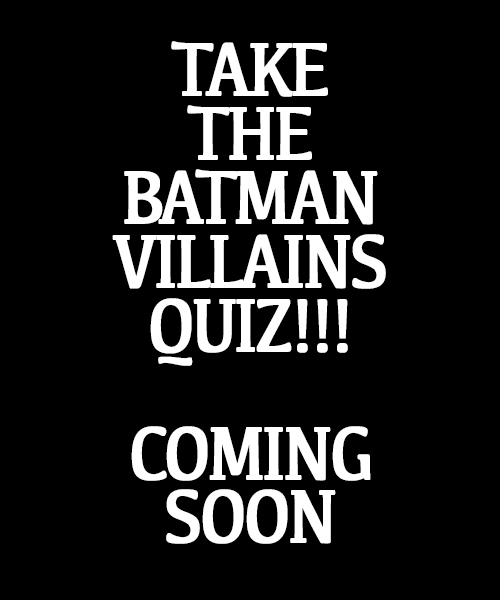 Take these pair of quizzes to learn your inner hero & villain. Which one of the greatest heroes in the DC universe would you be? Are you more Superman or more Green Lantern? Aquaman or the Scarlet Speedster? Take the Watchtower personality assessment test, designed by Cyborg and Batman themselves.